We have the technology now to learn from the best teachers in the world. We can access our PLN from almost anywhere, through synchronous and asynchronous technologies. Today, our students need personalized learning options. Our teachers need to learn according to personal and professional interests. Our leaders need to be able to consult with experts, and meet their own learning needs. And all of this is simple with a strong Professional Learning Network, and access to digital tools. In fact, for many educators, this is their normal. It’s how they work in 2016. Today I had the privilege to speak to educators at #depd in Ottawa (Discovery Education) as my PLN mate Paul Maguire was presenting and sharing how to connect with other educators through voxer. I was thrilled to hear how clear it was, because up here on the north shore of Superior, I was in a torrential rainstorm during a power outage and I was using my car charger to keep my phone battery charged while hoping the cell coverage would remain intact! But even with all of that, I was able to talk to the crowd gathered in Ottawa. For many of us, it has been our normal for a decade or more. Our creative, curious, bright children can access the best teachers in the world with our help. Let’s make sure every one of them can. Their access to the best instruction should not depend on geography or classroom teacher. And let’s encourage all educators, including our leaders, to build extensive, rich professional learning networks where they share learning, cultivate relationships, build their understanding of digital environments and establish a positive online identity. Our physical and digital worlds are now one. Our learners need to be able to flow between them, and thrive in both. The Pallisades. 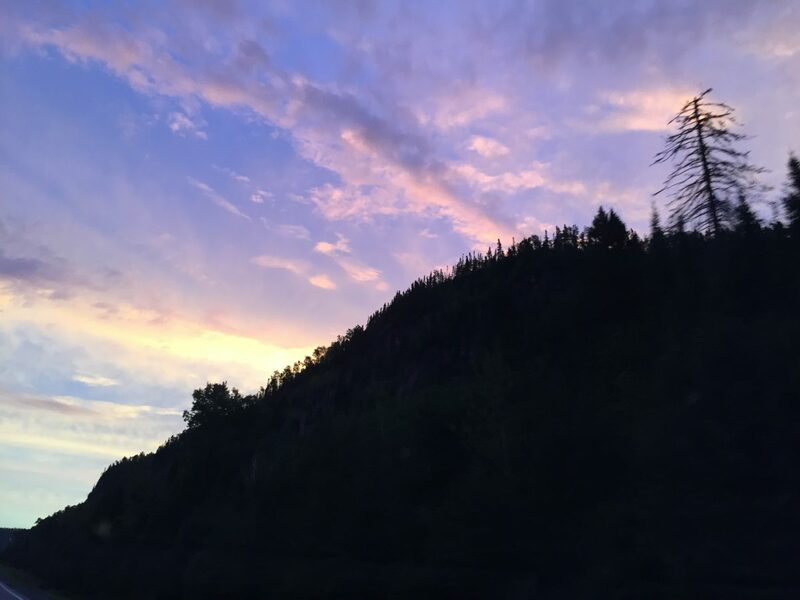 Hwy 11 north of Nipigon, Ontario, at sunrise, late August, 2016. Congratulations on being part of such a cool event but also for showing us all about GRIT and the power of problem solving. I love your message but you know that your personality is part of what makes it work, right? You have the tenacity, the resilience and the creativity to bring things to life even when they seem too daunting to tackle.